Another Korean artist has just confirmed his attending the Grammy 2019. Recently, Crush surprised the audience by posting the invitation to the 61th Grammy Awards on his Instagram. This made Crush the 2nd K-Pop artist after BTS to attend the Grammy Awards night this year. The Instagram post showed the Grammy 2019 invitation which was sent to Crush. … after BTS appeared at Grammy 2019. Crush is an artist in the Korean Underground, but his songs are quite popular because of his sweet, soothing voice which is easy to listen to. Although the singer is quite tight-lipped, his products are well received by the Korean public. Besides a successful solo career, Crush often receives invitations to collaborate from the fellow artists in the Korean entertainment industry. 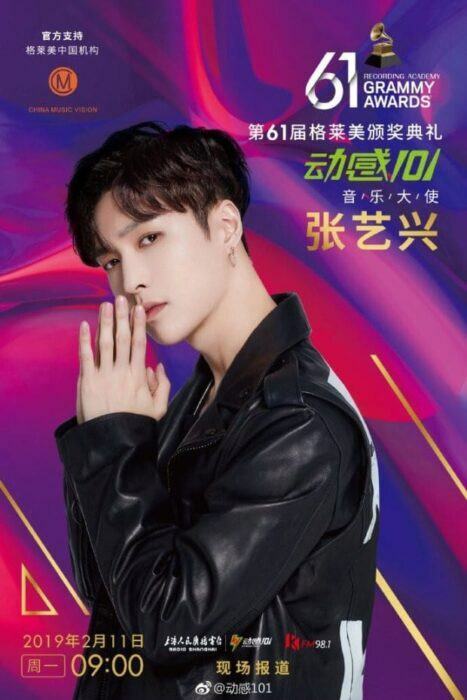 However, when considering Asian artists in general, Lay (EXO) will also appear at the 61st Grammy as an ambassador of FM Dongan 101, he is also the only representative of China to attend the award this year. China Music Vision’s Weibo page confirmed the appearance of Lay (EXO) at Grammy 2019.